SPSSEG and Waterfall Engineering are involved in a year-long monitoring project to collect data that will shape project designs in the Goldsborough Creek watershed. 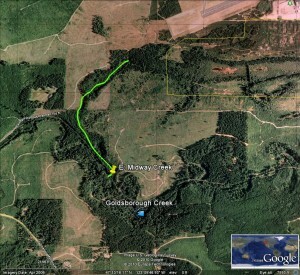 The projects are aimed at re-connecting at least three off-channel wetland areas that have been impounded by a railroad to Goldsborough Creek. Goldsborough Creek, near Shelton is a primary focus of the local stakeholders.